In 2003 Harry Sydney founded a Male Mentoring Program in Green Bay WI named My Brother’s Keeper he is dedicated to providing Straight Talk~ Sound Direction mentoring services to assist individuals in dealing with the hardships of life by helping them live with Integrity, Respect and Standards. He is committed to providing his clients with the knowledge and skills to make positive decisions and changes in their lives. Since its inception he has helped thousands of boys and men find success. All persons are welcome regardless of race, creed, color, or ethnic background. Harry Sydney possesses a degree in criminology and juvenile justice from the University of Kansas. He and his wife have a blended family of eight children and 4 grandchildren. Sydney played professional football for 10 seasons and coached running backs with the Packers for six. He won Super Bowl Championships with the San Francisco 49ers in 1988 and 1989, and with the Green Bay Packers as their running backs coach in 1996. When Sydney retired from the NFL he launched this non-profit organization because he made his home in Green Bay and wanted to make a difference in the community. Although Harry Sydney enjoyed a very successful career in the NFL, his path was full of disappointment and hard work. He came from a childhood filled with abuse, alcoholism, divorce and an environment filled with prejudice. Having overcome these obstacles, he has dedicated himself to helping others find success in dealing with the hardships in their lives. He mentors each individual, helping them gain the knowledge and skills to make positive changes in their lives. By teaming with the Green Bay Correctional Institution, the Brown County Juvenile Detention Center and various school districts in the area, Harry has been able to work directly with boys and men who have a history of making “bad” decisions and have taught them about respect, integrity, responsibility, and goal setting. He treats everyone that walks through the door with honesty and respect. 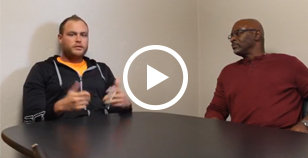 He is willing to talk about anything that will help improve the quality of their lives, ranging from a teen struggling to fit in, to helping a paroled convict make better decisions and become a productive member of the community. However, it is important to remember that My Brother’s Keeper, Inc. isn’t about Harry. It is about Harry’s willingness to work with men – one step at a time – to bring positive change to their lives. He is a self-described (but hardly self-absorbed) street fighter who shares his “codes of life” as a blueprint for this change. He wants his brothers to know that it doesn’t matter where they came from, but rather where they are going. He wants them to know that they hold the power to change the world – to change their world – but that it is up to them. He wants the lost souls among them to realize that he is in their corner, and he will fight just as hard as they will in order to improve their quality of life. Harry’s dedication to the boys and men in the program goes above and beyond the long hours at the office. He makes himself available at all hours to anyone who is in need. Harry is here to help! 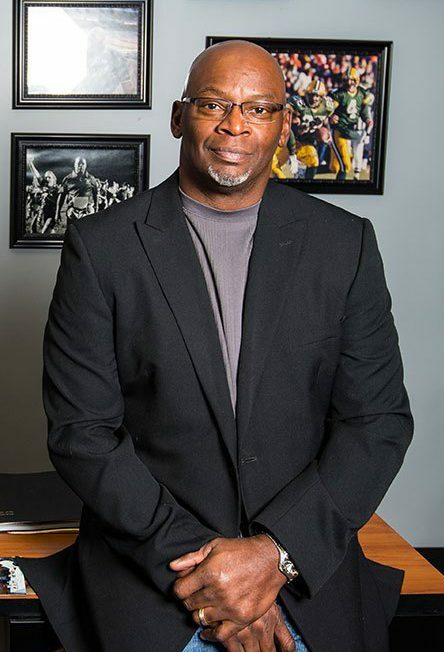 Despite operating a mentoring service for men, he co-hosts a successful sports talk radio show on a weekly basis for WDUZ “The Fan” 107.5 FM and 1400 AM in the Green Bay area. My name is Adam Van Eperen and I am a mentor with My Brother’s Keeper. I was born in Appleton, WI and raised in Grand Chute, WI. As an adolescent I was both defiant and a blossoming entrepreneur of several types. I always had a plan and while usually risky, my plans were always well thought out. I enjoyed drawing or singing or coming up with fun games and activities to do with my brothers and sisters. I was a pretty carefree kid – I never had much concern for rules, authority, or the consequences that were attached to my actions – needless to say I became very good at cleaning the house and washing dishes. In grade school I had respectable grades as a “B’ student. I excelled in Art and Music and began to learn a lot about management and reading people which I used to my advantage in the various entrepreneurial plans I hatched. In High school my focus changed slightly; now in addition to fun and money, girls became important. I sang with a couple of bands and operated and expanded my businesses – I even had a few employees. Music has always been my greatest passion. As far back as I can remember, music was my vessel of expression, my way to be heard in this world. From High School into college, and college to the real world, I have always been a performing musician – no matter the size of the crowd. I’ve been in management and sales, engineering, bartending and cooking. I’ve milked cows and painted cars, I taught GED class and repaired engines. I’ve worked with people with disabilities, and I have worked with men on work release from prison. There really is not a whole lot I haven’t done professionally at some point in my life. I have seen perfect plans blow away like dust, I have been on the top of the world, and I know firsthand what the bottom looks like. I have been successful, and I’ve learned the hard way what success is not. I have worn a lot of hats in this life and I feel this helps me to provide valuable advice to the boys and men, brothers and friends who seek mentoring. When I speak, it is from personal experience – from my own trials and tribulations. I know what it takes to be the best, strongest and fastest. I know how to care and I know what matters. I understand the fine line between success and failure and how to maintain it. I live my life with integrity, respect, and standards – the same values I help our clients find in themselves! I started working with My Brother’s Keeper in 2015 and look forward to meeting and serving all men and boys that walk through our doors. TOTina Marie Baeten has worked in the field of addictions and mental health for more than 20 years. She has a Master’s Degree in Social Work from UW-Milwaukee, and is a Certified Substance Abuse Counselor. In her spare time, Baeten provides instruction and consultation to graduate counseling students and treatment programs in Green Bay. She has worked with adolescents, adults, gender specific groups in both inpatient and outpatient settings. My Brother’s Keeper, Inc. board of directors consists of individuals that live in this community and really want to make a difference! Everyone of the Board has decided to be part of the solution instead of talking about all of the problems. They are the backbone of this program. Cobblestone Creek Dining and Banquet, LLC.